Last year, I wrote about my experience traveling to Kauai and doing my best to stick to a clean eating lifestyle. This year, it's all about Maui! If you have traveled to any of the Hawaiian islands before, you know Hawaii is one of the best places you can visit and have accessible fresh produce, wild caught fish, organic, grass-fed beef, and pasture raised poultry options. Hallelujah for that because once you have been to paradise, you want to keep coming back! It makes it so much easier to do that knowing the abundance of wonderful and healthy food sources available. Once we land in Maui, our first few stops always involve stocking up with the essentials. That means Costco of course! We usually stay in Wailea or Kapalua, so we get all of our Costco needs before we head to our hotel. If you are staying near Kahului, it's not an issue as Costco won't be that big of a trek. Two of my favorite health food stores are Mana Foods and Alive and Well Natural Health Foods. You definitely want to hit at least one of these two places as well. They are both within the Costco vicinity. Mana Foods is huge and will no doubt have everything you need! Their shelves are stocked with natural, local, and organic products. They have over 400 local vendors and half of their produce is locally grown. 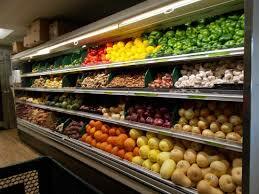 Their produce department is also made up of 90% organic or non-sprayed items. Other departments include a bakery, deli, raw foods, bulk items, meat, fish, poultry, and a massive health and beauty section. Don't bother wasting your valuable luggage space on bringing toiletries from home. You can get it all here! I found their prices to be quite competitive to the mainland. As a matter of fact, I even found some things cheaper! Who would've thought!!! Alive and Well Natural Health Foods is also a fabulous store that is family owned and operated. You can find a large variety of groceries, produce, vitamins, household goods, kombucha on tap, and a small deli menu where you can order to go items or eat there. They have delicious tasting smoothies and desserts too! I'm in love with their mint chip smoothie which contains nut milk, banana, spirulina, mint, and cacao nibs. YUM! Their Acaí smoothie is delicious too! Once you have acquired all of your necessities and get settled in your hotel or rental, get ready for an amazing time in paradise! There are so many wonderful things I could tell you about Maui, and perhaps you are already familiar with them anyway. So since I can't begin to cover everything, I will give you a brief synopsis. One of the things I want to touch on is the stellar line up of restaurants. Wow! You can eat like royalty every night and feel good about it. Picking the right restaurants is crucial. Oh, and bringing your wallet is another must. You know how the saying goes, you get what you pay for. Trust me, it's totally worth it! We always dine at restaurants that pride themselves in using local, organic ingredients when possible. It is important to us to support the local farmers and businesses as well as getting top notch fresh ingredients. Many of these restaurants make everything on the spot which means it is that much easier to avoid any ingredients that need to be omitted from your diet. We found all of the restaurants we dined at more than happy to accommodate any special requests. Our first stop was The Banyan Tree. This was our first visit to this restaurant and we chose it not only for the rave reviews, but we also knew it would be easy to get to. That is important being it was a travel day and we would certainly be tired and hungry. I love that The Banyan Tree uses seasonal, farm to fork menus as well as featuring locally sourced ingredients. They even have their own organic garden! You can count on them to use fresh fish, meat, and produce all the time. A small section of The Banyan Tree garden. Here is a view of Mama's, a gorgeous sunset, and the ocean view from our table. Another fabulous dining experience can be had at Merriman's. So fabulous as a matter of fact, we ate their twice during our recent visit to Maui. Merriman's is driven by their long-standing commitment to Hawaii Regional Cuisine. They support local farmers, ranchers and the local economy while offering fresh, authentic regional cuisine at its peak flavor and seasons. Their Kapalua location offers a breath taking view of the ocean. We enjoyed the 5pm reservation as this allows you ample time to savor your meal and end it with the most gorgeous sunset you can dream of. No dessert can top that! Speaking of desserts, Merriman's has one of my husband's all time favorite desserts. He is not a chocolate person so that will give you a hint of just how incredible this dessert is. It is called the Crunchy Waialua Molten Chocolate Purse and it is out of this world! So for goodness sake people, order the chocolate purse!!! We had other fabulous desserts as well. I felt it only fair that I sample others so I could give you a proper critique of their sweet treats. The struggle is real folks! (wink) They have these donuts which are dynamite! They are called White Chocolate Filled Malasadas and they are one of their most popular desserts. We also enjoyed their flourless chocolate cake...seriously yummy. They were offering a seasonal dessert which was pineapple bread pudding. Of course we had to get the bread pudding and we loved every bite. Here are a few of the breathtaking sunsets we witnessed while dining at Merriman's. By the way I have been rambling on about dessert, you might be thinking we didn't order a main course. But we did. I just got a little carried away as I reminisced about our sweet indulgences. As you can see from what we ordered, we went to town here! Keep in mind, this sums up two different dinners. On our second trip to Merriman's we both ordered from their duo option which means you get a combination of two entrée half portions. This is a fantastic way to ordering when you can't decided which plate of delciousness to choose. One night we decided to go Italian which is totally unlike us. But we had heard some rave reviews about this little Italian restaurant close by that just opened up about 5 months prior to our visit. It is called Taverna. The atmosphere is welcoming and relaxing. You will enjoy the mountainous beauty of Maui as well as a glimpse of the ocean. The prices are not over the top but the food is beyond delizioso! We have not ordered pizza in years due to the greasy and unhealthy ingredients. But at Taverna, we decided to give it a go. It was a decision we did not regret one bit! And neither one of us felt ill side effects the next day as was the case in the past with other pizzas. The Branzino was spectacular and the lasagne was bursting with flavor. It was not your traditional stacked lasagne. It was baked in a shallow personal sized casserole dish. Very unique! The beef carpaccio was a light but flavorful appetizer as well. Everything we ordered was a hit! And yes, dessert was too! Finally, the last restaurant I want to tell you about is Lahaina Grill. Many people feel this is the best restaurant on the island. I would say it is definitely in the top 3. We ate their twice as well. It's right off of Front Street so you can take a lovely walk along the ocean after dinner. If you plan accordingly, you can either catch the sunset before dinner or after, depending on the time. 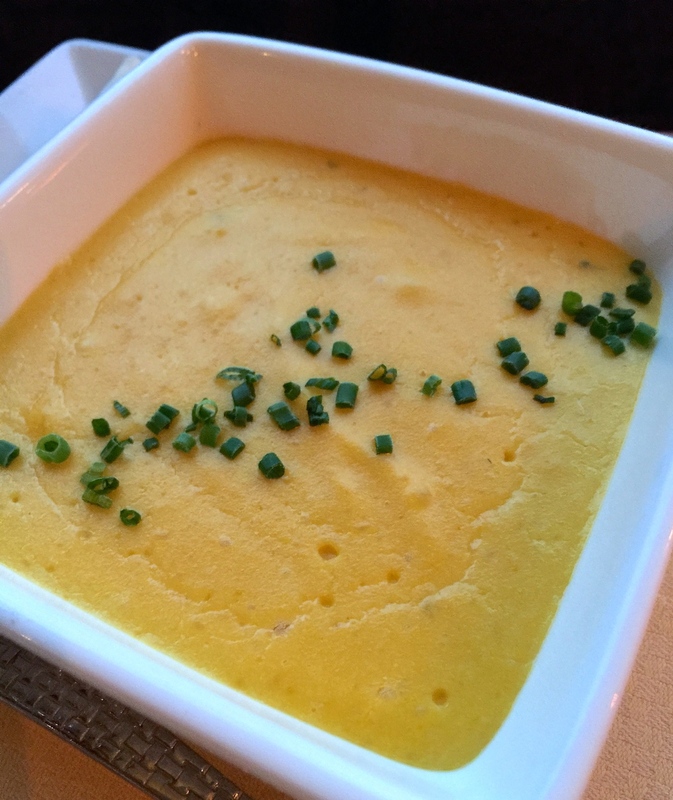 Again, this contemporary bistro prides itself in using fresh, local ingredients and the end result is incredible! It's a small restaurant so make your reservations well in advance. Out of both visits, I would say the clams were my favorite appetizer, the Ahi and Scallops were main course stand outs, and the Road to Hana is a must for chocolate lovers! For a quick bite for breakfast or lunch, a trip to the Choice Health Bar was our go-to hang out. Their local and organic fresh foods come straight from Maui's family farms to help create a sustainable future. 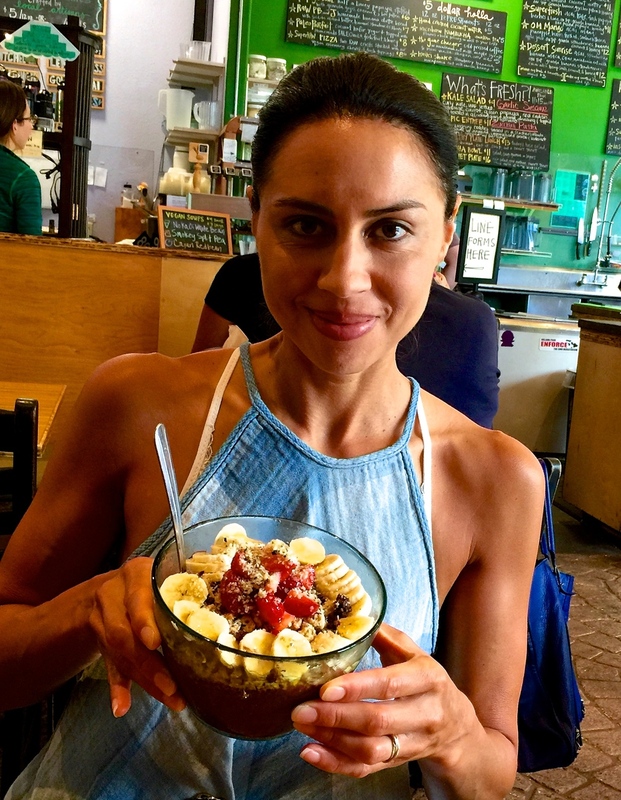 Whether you are vegan, paleo, gluten-free, dairy-free, or eat a raw based diet, you will find several options that you will thoroughly enjoy. Their fresh menu speaks for itself. Choice Health Bar is close to Front Street so stop in before doing an afternoon of shopping. There is no question, Maui has some of the best eats around, but it's not just about the food here. It's also about the sights. We enjoy leading a healthy and active lifestyle so getting our daily workouts in and other activities are a must when on vacation. We started each day with an 8-10 mile run followed by a scenic hike. Fortunately, we had access to some gorgeous hiking areas and views close to our hotel. 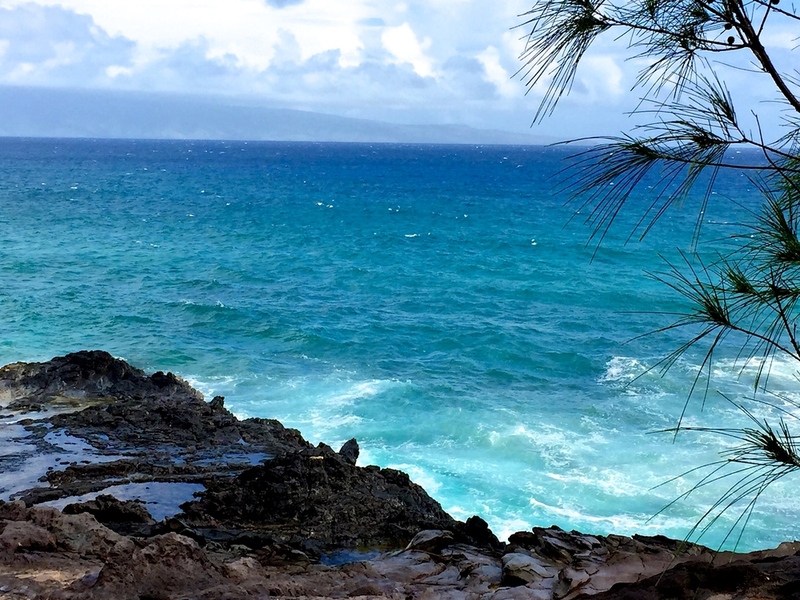 The Coastal Trail in Kapalua runs along the ocean's edge and has some breathtaking views. It's a short trail at just under 2 miles each way. But if you take your time to explore, you can easily turn this into a two hour adventure. The Village Walking Trails are another option for hiking and exploring. This used to be the Village Golf Course but it is no longer used for golfing. Instead, the old cart paths make up a network of walking trails ranging from moderate to difficult. We did the Lake Loop which is ranked difficult. Get ready for a big time booty workout should you try this one! As far as scenery goes, you get a nice view of the lake, surrounding trees, and an ocean view once you get to the top. Everything in between is a good workout with not much to look at. Bring water and some snacks to re-fuel once you get to the top. If you have never taken a trip on the Road to Hana, you definitely want to do that. It's an all day adventure with lots of driving and stops along the way so start early. Read up on all the various sights and stops along the road to Hana. The best way to really absorb the beauty and treasure of the numerous locations is to pick a handful of things that appeal to you and dive into those. It's unrealistic to expect to see everything this trip has to offer in one day. And if you tried, you would not be at each stop long enough to truly appreciate it. If you don't make it all the way up to Hana, that's okay. In my opinion, the best gems are the ones you find along the way. Taking a trip to Hana will provide you will a variety of beaches to comb and swim in. But if your vacation plans don't include traveling the Road to Hana, Maui has other hot spot beach locations. Some of the best known beaches to visit are Makena Beach State Park, Ka' anapali Beach, Baldwin Beach Park, Wai' anapanapa State Park, Honolua Bay, Palauea, and Kapalua Bay just to name a few. There are ample waves to do some boogie boarding, surfing, and paddle boarding. Since you are on vacation, a spa day is in order! We like to do this about half way through our stay. By then, our skin has seen much of the intense Hawaiian sun and our bodies have been cruising at an energetic pace. So a half day of pampering is a must! Recently, we went to The Ritz Carlton Spa. My husband and I both did the Cocolicious Cocoon which was an amazing experience. You have access to the spa the entire day so you can come and go as you please, even before or after your appointment. They have separate saunas, steam rooms, relaxation rooms, and hot tubs for men and women. There is a co-ed hot tub as well if you can't bear to be without your spouse. My husband and I got our cocolicious cocoon treatments together but then separated to experience the rest of the amenities. If you are staying on the Wailea side, Spa Grande is the place to go. They offer a plethora of treatments and you will certainly feel rejuvenated after your appointment. This is just a small portion of what Maui has to offer. No matter how many times we have gone, I always find new things I love about this majestic island. It's just the kind of paradise I need to take a break from the real world once in awhile. I'm sure you can relate. If you have visited Maui and have some favorite spots or tips of your own, feel free to share. I always love hearing about other peoples' experiences. Much Aloha on your travels!